Feature request: A faster way to slide through envelops and modulators. 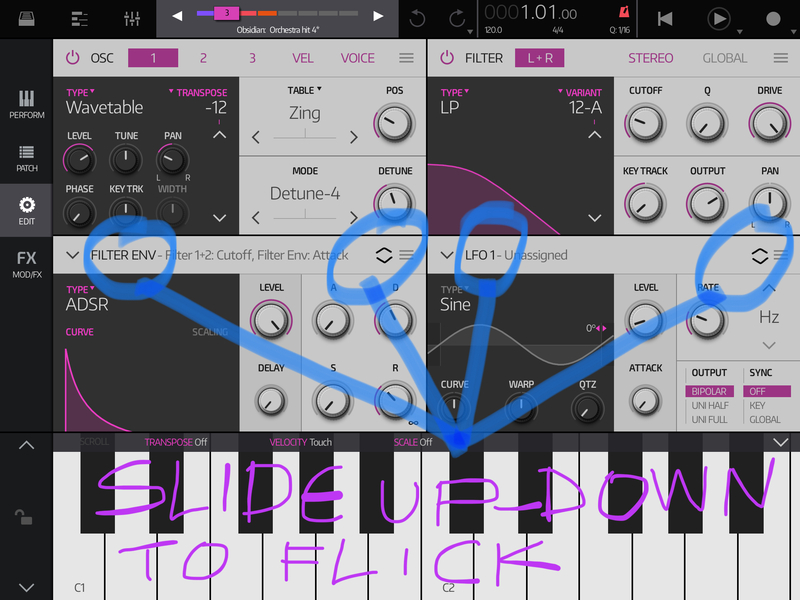 I interested, and found myself fiddling with most musical apps, mainly with sound (design, amateurish of course) and less in composition. I kinda struggle, only a bit to be honest, with the way of selecting envelopes and modulations in the main screen synth. I thought of a way to implement a faster flick (NS1 engulfed this method a lot as far I can remember anyway) through the options and I’d love an approve and why not, an implementation in the far future, whatever goes. Those are two of some possible choices. An obvious and a hidden one. Obviously a more thorough inspection about and other users needs and expectations should put by Mat I reckon.